Australian rugby star Israel Folau has publicly reaffirmed that he stands by his statement that gay people are destined for “Hell” last month. The Wallabies player sparked criticism when he posted on Instagram that gay people will go to hell unless they repent for their sins, and responded to the controversy with a lengthy article for Players Voice – with reference to anti-homosexual verse in the Bible. Speaking to Australian media this week, Folau said he still stands by his comment. “I stand firm in what I believe in and that’s something person with who I am,” he told the AAP. Rugby Australia met with Folau last month, ultimately deciding he would not face any disciplinary action and releasing a statement outlining the organisation’s stance. 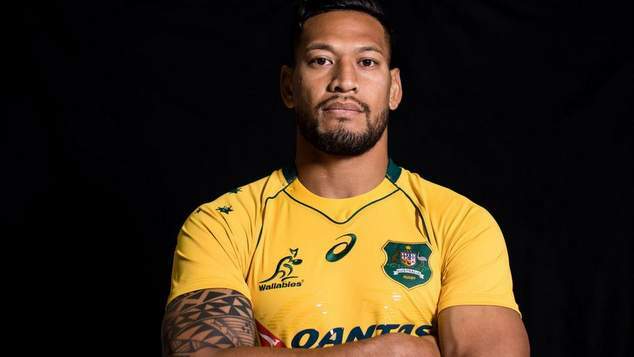 “Folau’s personal beliefs do not reflect the views of Rugby Australia,” the statement read. “It clearly means a lot to Izzy and good on him for standing up for his faith,” Morrison told columnist Miranda Devine.